Being able to get refunds for apps, books or iTunes purchases has been at the center of much discussion for some time. While Google gives downloaders two hours to request a refund for apps they bought by mistake or that simply don’t work as advertised, Apple has never really given any proper indication as to its own policy. Plenty of people have successfully received refunds for apps, but the policy has never been as clear as it could be. If you live in the EU, you now have considerably longer than the 2 hours offered by Google’s Play Store, with the App Store, iBookstore and iTunes Store giving users a full 14 days in which to request a refund, starting from when they receive their receipt. Given the fact that receipts aren’t emailed out immediately, downloaders could in theory have much, much longer to request a refund. 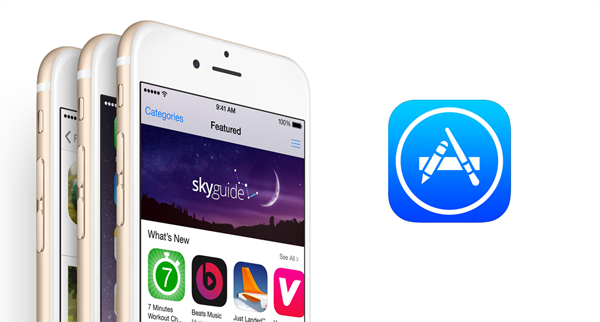 The new wording in Apple’s App Store policy comes after a new consumer rights directive was introduced in the EU that requires a 14 day right of cancellation be in place for both goods and services bought in member countries. While Google doesn’t appear to have updated its own policies to reflect this as yet, Apple’s move is still rather late considering the directive came into play back in June. The real question for developers now is how those refunds will be handled. With Apple taking a cut of all sales, will that cut be returned to customers directly or will developers be left to stump up the entire refund including the 30% that Apple took at the point of sale? Regardless of the logistics of making the new, much more transparent policy work we expect iOS users will be pleased to know that they no longer run the risk of being stuck with an app that simply doesn’t do what it claims to, or something that fell short of their liking. With the App Store having no mechanism in place for trial apps, the risk of downloading a duff title is now considerably lower. So long as you live in Europe, that is. WRONG. The distance marketing directive covers all items purchased in the EU. It allows the buyer to return almost any item (not perishables such as food or intimate items such as earrings) within 14 days for any reason. Eg just don’t like the colour. This applies to any item brought from a ‘distance’ eg telephone or Internet order. Even a place like argos has to honour it because you can’t physically see it on purchase. Also in the eu we have upto 6 years warrenty if a product breaks and you can prove its the manufactures fault and it’s not in line with the price. Eg you buy a phone for £25 and it breaks in 2 years most likely no refund. Becuase you can’t reasonably expect a phone that’s only £25 to last forever.